If you are ever around the area, Dr. Lovely Manlapaz is the best dentist in the business. I liked her patient care. She is thoughtful, gentle, and awesome. She is great. I would refer any of my friends to her. I really liked how she works with my insurance plan. She worked everything out for me. She told me what I needed to get done in order to have a pretty smile. She is great, the office is lovely, and the staff is wonderful. She's very professional, very thorough, and she does a great job. She does consistently good work. She does good work, and she takes care of what needs to be taken care of in a good way. Dr. Lovely Manlapaz has international dental training. 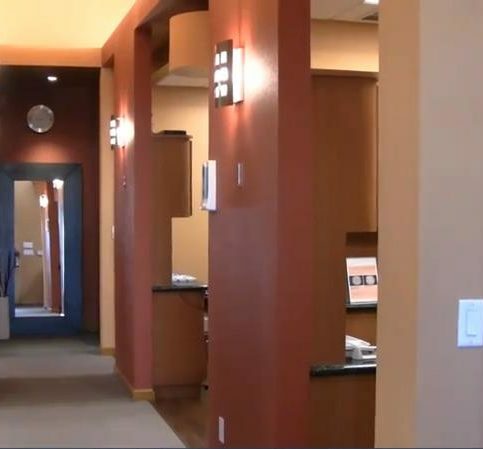 Lovely Manlapaz Teodoro DDS is a general, cosmetic and family dentistry practice that offers a variety of services to East Bay patients (both children and adults) at The Dental Center of Hercules. 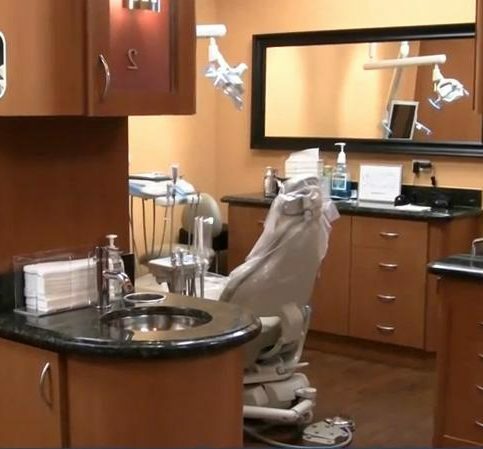 Services include comprehensive oral exams and cleaning, root canal treatments, complete and partial dentures, composite bonding, Invisalign®, cosmetic veneers, teeth whitening, oral surgery, crowns, onlays, fixed bridges, dental implants, and implant restoration. The practice also provides 3-D Imaging (CT scan) to properly evaluate its patients for implants. Dr. Manlapaz earned her Dental Medicine degree with honors from National University, Manila Philippines (NU) in 1995. She started a private practice upon graduating while simultaneously holding a clinical instructor position at NU’s College of Dentistry. Today, she continuously attends courses and training to keep her knowledge and skills on par with the technological advancements in dentistry. Dr. Manlapaz and her staff take a personal approach to patient care, which, according to office manager Ted Teodoro, ensures excellent, detailed service. “We don’t overbook our patient list. Dr. Manlapaz likes to take her time and be very thorough.” The practice offers several dental plans and accepts most private insurance. Areas Served: Serving all of Contra Costa County including Concord, Richmond, Antioch, Walnut Creek, Pittsburg, San Ramon, Danville, Brentwood and Martinez. In an effort to further distinguish her practice as a dental industry leader, Dr. Manlapaz only uses digital X-rays that show highly detailed images of patients’ pre- and post-treatment teeth, allowing her to fully explain the details of each assessment and treatment process. “She also only uses composite filling materials–no amalgam or metals–and provides in-house milled ceramic and porcelain materials for onlays and inlays, which helps preserve more of the original tooth,” says Mr. Teodoro. Choose a dental plan that offers benefits that are the most relevant to your situation. 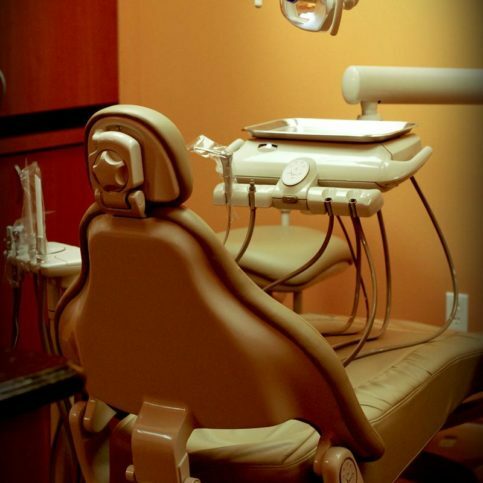 In general, dental plans can be divided into two categories: managed care and fee-for-service. Managed care dental plans are cost containment systems that direct the utilization of health care by restricting the type, level and frequency of treatment; limiting access to care; and controlling the level of reimbursement for services. 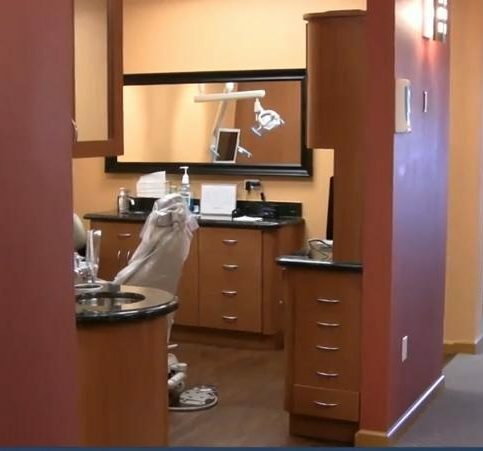 Fee-for-service dental plans are typically “freedom of choice” arrangements under which dentists are paid for each service rendered according to the fees they establish. • What percentage of the premium is used for administration? • Will the amount of the discount influence patients to change their dentists? Will the amount of the discount affect the number of treatment options for the plan’s covered individuals? • What’s the liability for the employer if the plan influences provider selection or treatment? • What are the criteria for selection of providers for the plan? Does it have enough dentists under contract to adequately serve the group? What’s the geographic distribution of patients to dentists? Does it provide for specialist referrals? Are dentists limited to referring patients to contracted specialists? • How does the program provide for emergency treatment? What provisions are in the program for emergency care away from home? • What’s the utilization rate for patients in this program? What’s the average waiting period for an initial appointment? What’s the average period between appointments? • What’s the dentist/patient ratio for the program? What are the criteria for selecting dentists to participate in the program? What’s the geographic distribution of patients to dentists? • What’s the ratio of dentists accepted to the program to those who applied to participate? How many dentists voluntarily withdrew from the program over the past two years? • What’s the capitated rate of compensation for the dentists? Is it sufficient compensation for the needs of the covered patient population? 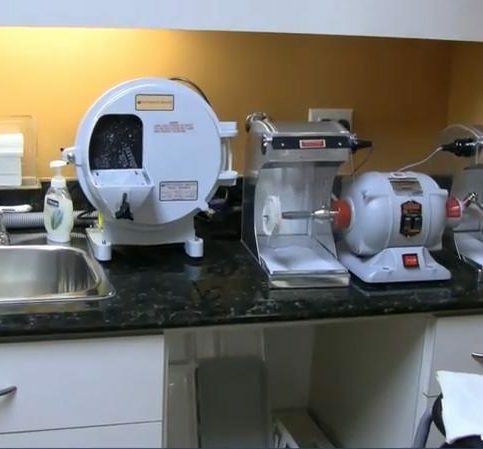 What provisions are made for dentists with unforeseen utilization or difficult cases? • What are the benefits for patients requiring a specialist’s care? How are specialists selected and compensated? Does the plan have adequate specialist participation? Direct Reimbursement (DR) is a self-funded dental benefits plan that reimburses patients according to dollars spent on dental care, not type of treatment received. It allows the patient complete freedom to choose any dentist. Instead of paying monthly insurance premiums, employers pay a percentage of actual treatments received, even for employees who don’t use the dentist. Moreover, employers are removed from the potential responsibility of influencing treatment decisions due to plan selection or sponsorship. A: Yes. We offer programs with up to six months of deferred payments. Q: Do you offer any fee discounts? A: Yes. Ask about fee discounts when you call for an appointment. A: CEREC is a computer assisted design tool that allows crowns and other treatments to be performed expertly and quickly onsite, which saves the patient from having to come back for multiple appointments. Q: Do you offer bleaching? A: We offer in-office bleaching using the Pola system. A take-home option is also available. A: Yes, we provide Invisalign products and treatments as an alternative to traditional braces. Q: Why don’t you use amalgam fillings? A: Our doctor, Lovely C. Manlapaz, decided to be an amalgam-free office because of the advanced results from using composites and the potential risks of using traditional amalgam. Dr. Lovely Manlapaz is owner of Lovely Manlapaz Teodoro DDS, a Diamond Certified practice since 2010. She can be reached at (510) 200-8968 or by email. A: China—I’ve always wanted to see the Great Wall. A: Happy Sashimi in Pinole. A: Cook something good to eat. In the Philippines, there’s a chocolate-flavored porridge called Champorado, which is something I like to make for my family. Q: If you could live in the city or country, what would you choose? A: The country, because of the natural beauty—plus, it’s more relaxing. A: “Tears of the Sun” with Bruce Willis. 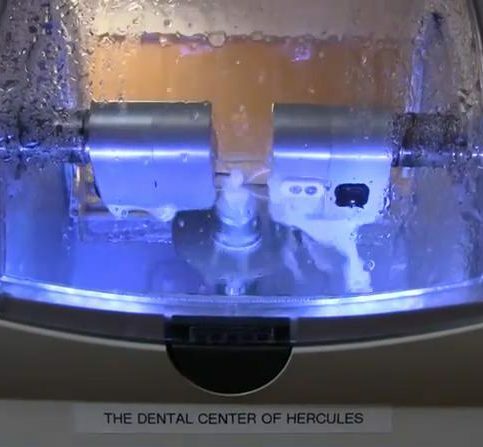 HERCULES — In the past, if you needed a crown installed or a similar dental restoration procedure, you had to go through quite a process—numbing, gooey impressions, temporary prostheses and at least two weeks of waiting. Today, however, advancements in computer-aided design and manufacturing technology (collectively known as CAD/CAM) have made this process much faster and more convenient, allowing patients to have crowns installed the same day they’re fitted. While dentists formerly used “trays” filled with a gooey substance to take impressions of a patient’s teeth, this unsavory procedure has since been replaced by digital impressions, which allow for more accurate impressions through computer imaging. After being digitally designed, the physical crown can be manufactured in minutes with an in-office milling machine, following which it’s ready to be installed. With no need for temporaries or even a second visit, it’s easy to see the benefits offered by CAD/CAM dentistry. 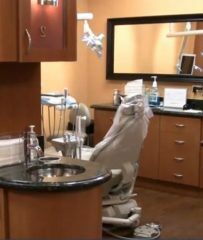 HERCULES — Host, Sarah Rutan: Getting a dental crown used to be lengthy process, but thanks to today’s modern innovations, today’s dental patients have advantages of a much more effective method. 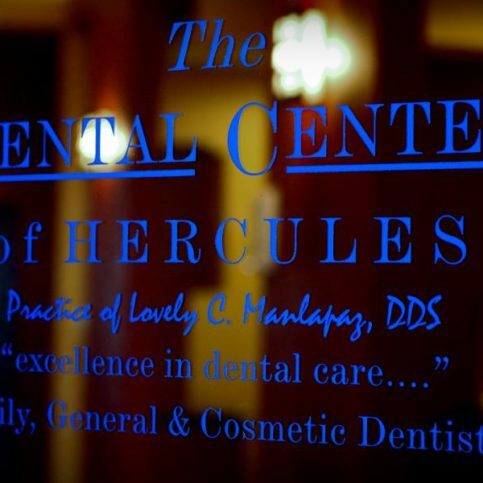 Today, we’re in Hercules with Diamond Certified Expert Contributor Dr. Lovely Manlapaz of Lovely Manlapaz Teodoro DDS, to learn about the benefits of CAD and CAM technology. Diamond Certified Expert Contributor, Dr. Lovely Manlapaz: One of the latest technology in dentistry nowadays is using CAD/CAM to design and fabricate crowns. There’s a lot of convenience to the patient because it only requires one visit from prepping the tooth, and once the design is already made in the computer, the crown is going to be milled. And then we’re going to fit into the patient’s mouth that the fit is fine and we bake it for glazing for final processing. And then that some visit we’re going to be able to cement the crown, and when the patient leaves the crown is ready. The patient is not going to wear any temporary crown. The patient is good to go. The translucency is very natural. It can mimic your teeth and looks very natural. They like it better because it looks nicer, especially in the front. Lovely Manlapaz Teodoro DDS : Average 8.9 out of 10 based on 208 unique customer surveys of customer satisfaction. She is very patient. She gives you all the information. I had a broken tooth, and everybody I called rejected me, until I called the fifth time and got Dr. Teodoro to take care of me. It's a good place to go to get your teeth cleaned. She is a great dentist. Very friendly and professional, they have state of the art equipment. Everyone in the office has worked with me very well. I ended securing her as my dentist through Diamond Certified. She is lovely and a great dentist. I think she is a genuine person when it comes to caring about people's comfort levels. She is very accommodating with scheduling. Her attention to detail is great. She also has great customer service skills. She is very open to hearing your concerns. They are very efficient, have state of the art equipment, and are a pleasant office with friendly staff. She's very patient, and when she does any work, she goes over it with you. She gives you all of the information that you need. She also is knowledgeable enough to answer all of the questions you ever have. She is a great dentist. I've been using her for years. I'm happy with her services. She's not out to get you. They have a nice office where they make you feel at home and welcome. I liked their attention to children's needs.